Colorful flowers dance under paisley clouds in a stunning jamawar from Sandeep Malhotra. So intricate was the work that a person could finish only one shawl in his lifetime. Such shawls were not sold, but were given to kings and queens who, in turn, gave the artisan properties according to the worth of the shawl. Authentic jamawar is virtually unavailable, but replicas such as this recall their amazing beauty. 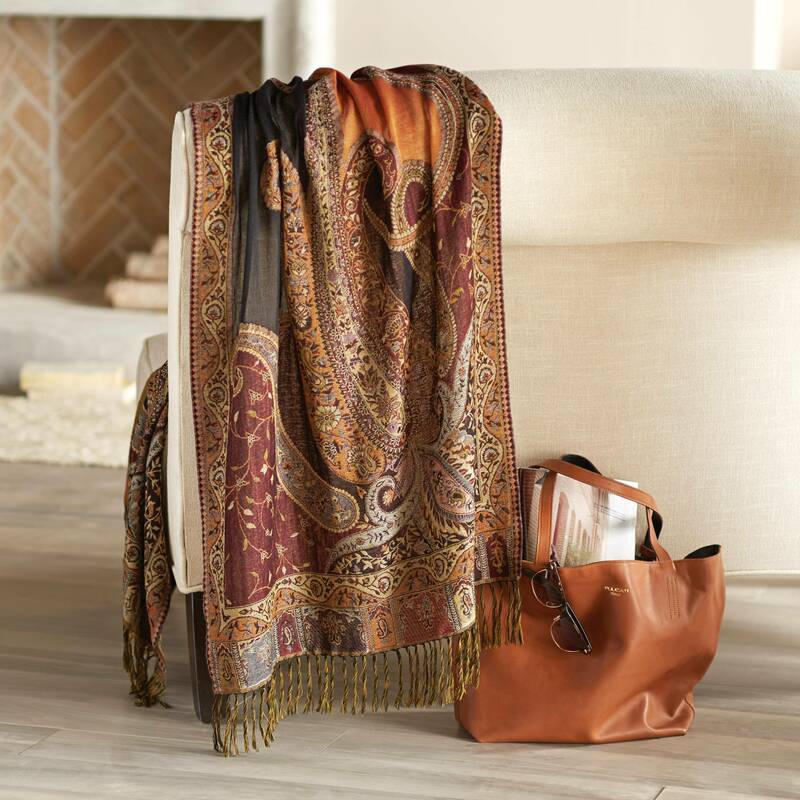 The wool wrap masterfully combines rich maroon, beige, black, olive and orange hues.